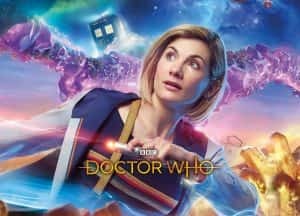 John Paul Green, a Film, Media and Cultures lecturer at the University of Sunderland, discusses the latest incarnation of Doctor Who ahead of the upcoming series. And as the new series hits our screens on Sunday, 7 October, the thirteenth Doctor, Jodie Whittaker, takes over the TARDIS helm. John Paul welcomes this first female incarnation of the fictional hero. Though turning the character of the Doctor into a woman may have initially seemed radical, John Paul argues that the character has always been in step with the modern world. Compare William Hartnell’s grandfather-like figure in the 1960s, during a time when society feared science and the young looked to their older peers for guidance, with the vulnerable and softer figure of Peter Davison in the 1980s, a time of fragmentation in masculinity and the resurgence of feminism. “It’s a sad state of affairs that the casting of a female Doctor is seen as radical in some quarters. Given the Doctor is an alien, with the ability to physically change, I don’t see the issue with such gender fluidity.